Green Day Plays Epic Show At Webster Hall, Announces Tour With Against Me! Rowdy fans and good times. If you were out and about in NYC over the weekend, you may have heard echoes of rowdy punk songs drifting through the streets. On Saturday October 8, Green Day played an unforgettable show for fans at the intimate Webster Hall venue to celebrate their new release, Revolution Radio. The veteran punks performed a handful of new songs from the latest album, including the first single, “Bang, Bang”. Billie Joe Armstrong and crew also got the crowd fired-up by pulling out Green Day classics like “Basket Case” and “She”. Fans who were lucky enough to gain access to the show via a lottery system were granted a code for the chance to buy tickets for this very special show. Prior to the performance, fans who were able to score tickets lined up for hours to get the closest spot to see the band. The “Know Your Enemy” rockers provided a 31 song setlist, including two encores filled with fan favorites like “Good Riddance (Time of Your Life)”, which was the final song of the night. 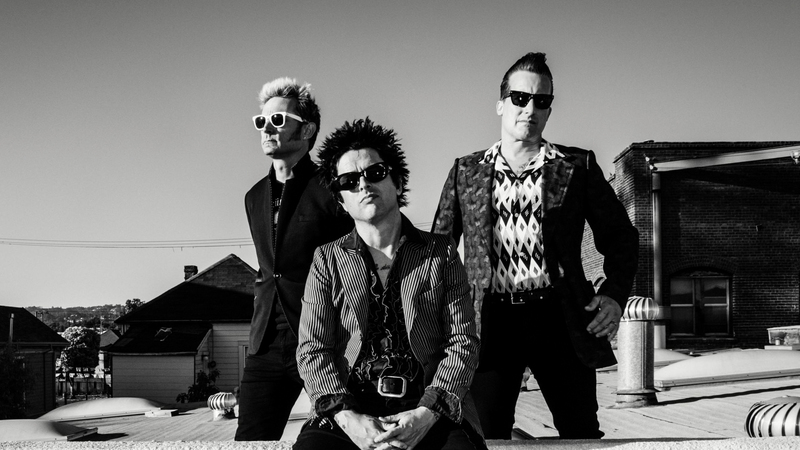 In addition to a busy week of shows, Green Day has blessed us with a new tour announcement for 2017. Starting off in Phoenix, Arizona on March 1, the guys will be traveling throughout the country in support of Revolution Radio. Against Me! will also be tagging along, making this tour something you won’t want to miss. Track Green Day on Bandsintown so you never miss them in your city!